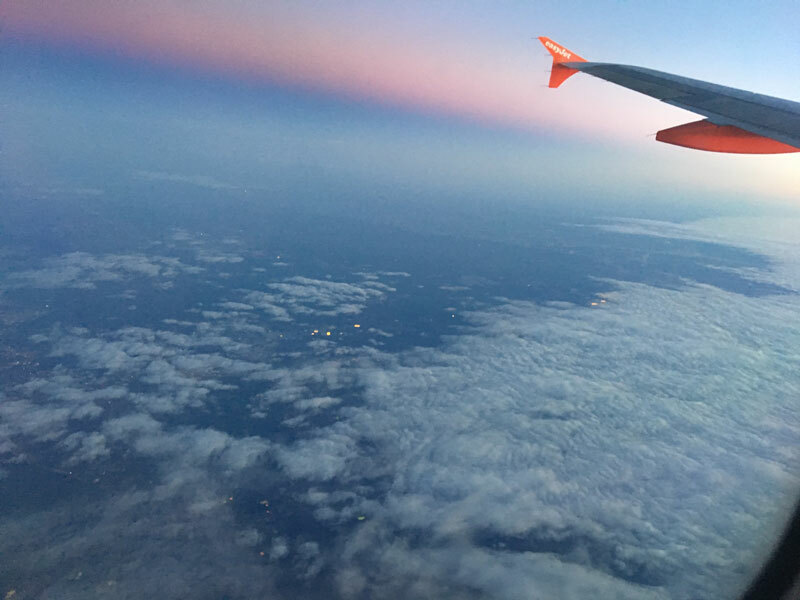 I flew over the Netherlands last week, and while we were going over an area just off the coast northwest of Amsterdam, I noticed something that looked like enormous, square lights shining quite brightly in the twilight. There were a good half a dozen of them in total, spread out over a distance of perhaps six to ten kilometres. It’s hard to gauge size properly when you’re looking at something from 38,000 feet with intermittent clouds obscuring your view, but I estimated that at least some of them were the size of several (European) football fields. Looking at the general area on Google Maps (going by the GPS coordinates in the photos), nothing really sticks out as being obviously those fields of light. I do see an area with lots of quite bright roofs, but they look too close together and not enough in number to fit (and possibly not big enough either). I’m also not sure they’d be reflective enough – it was darker than the photos make it look, so there wasn’t that much sunlight to reflect at the time. 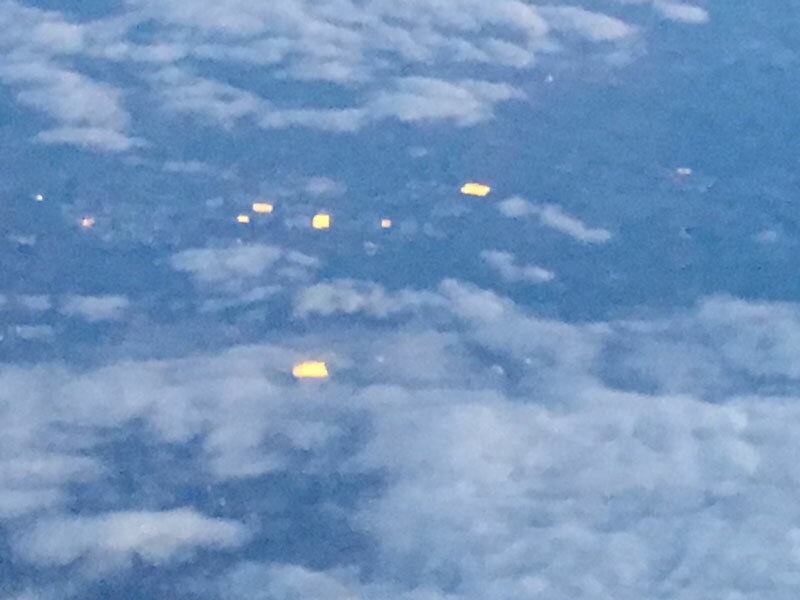 Does anyone know what these fields of light are? They are artificially lit greenhouses. The artificial light escapes through their transparent roofs. Some of them were presumably not (yet?) illuminated when you saw them, perhaps because it wasn't yet completely dark or because the crop in the greenhouse was at the wrong point of its growth. Note that some of the white buildings in the satellite image on Google maps are tagged as plant nurseries, for example just south of Noorddorp. Not the answer you're looking for? Browse other questions tagged netherlands identify-this or ask your own question.